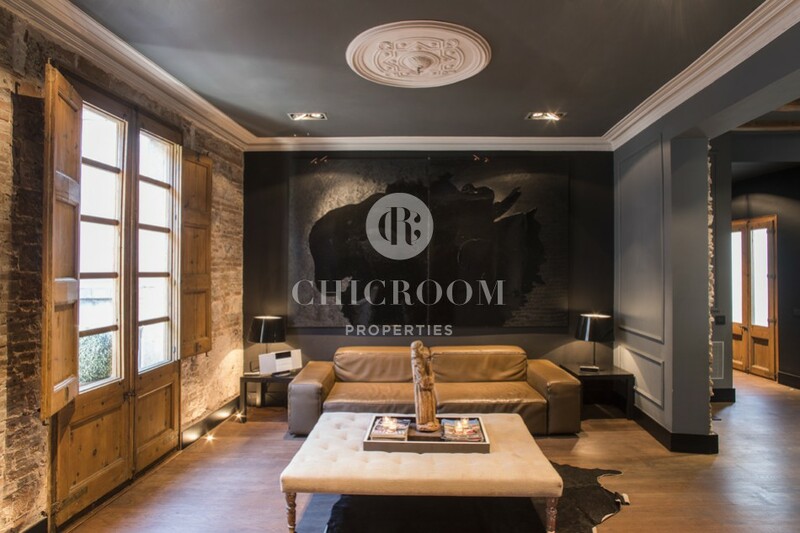 We have selected here the antithesis of Rambla Catalunya Excellence regarding the colours; however the wow-effect when you first step inside is exactly the same. 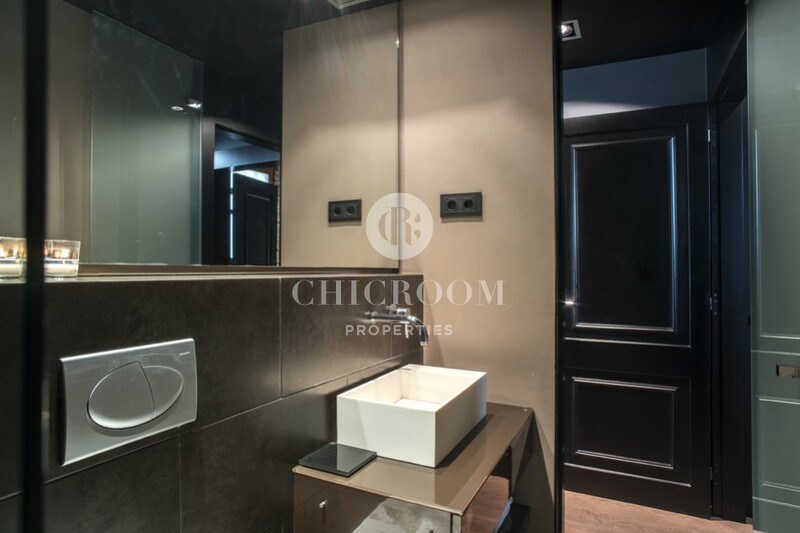 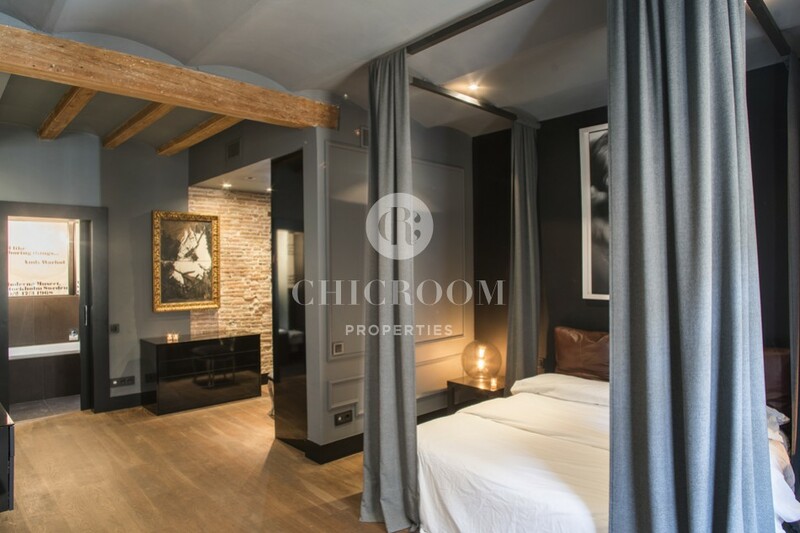 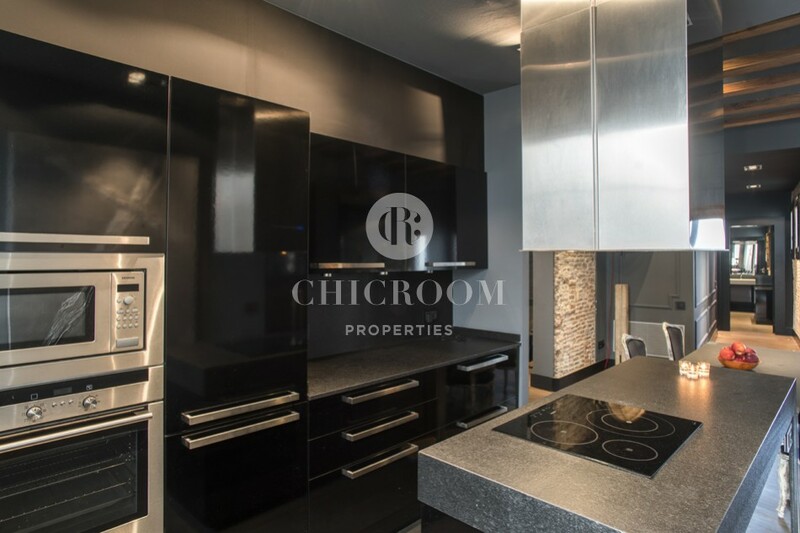 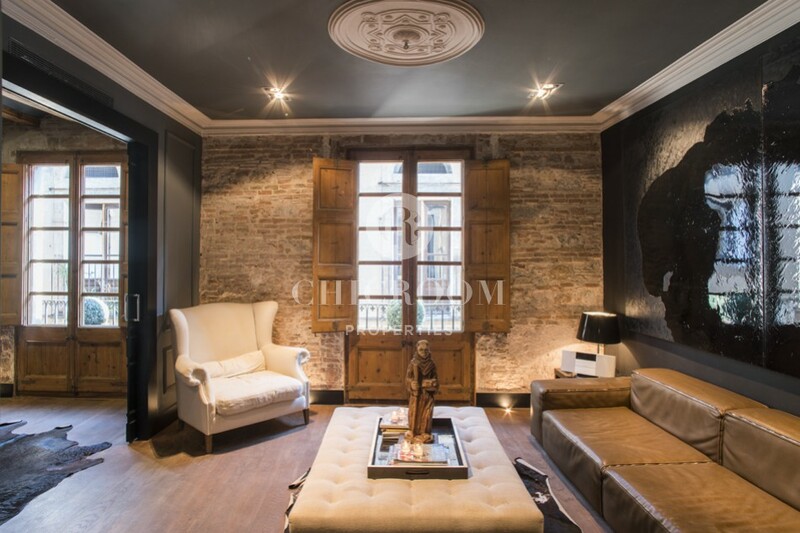 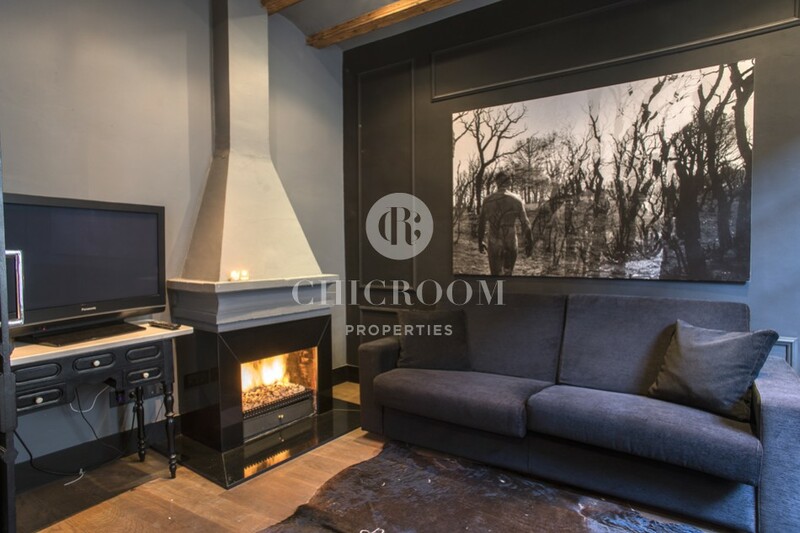 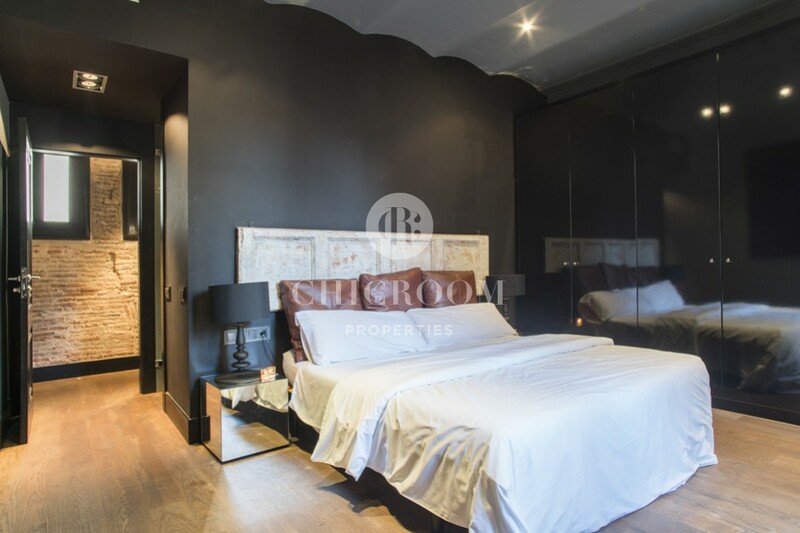 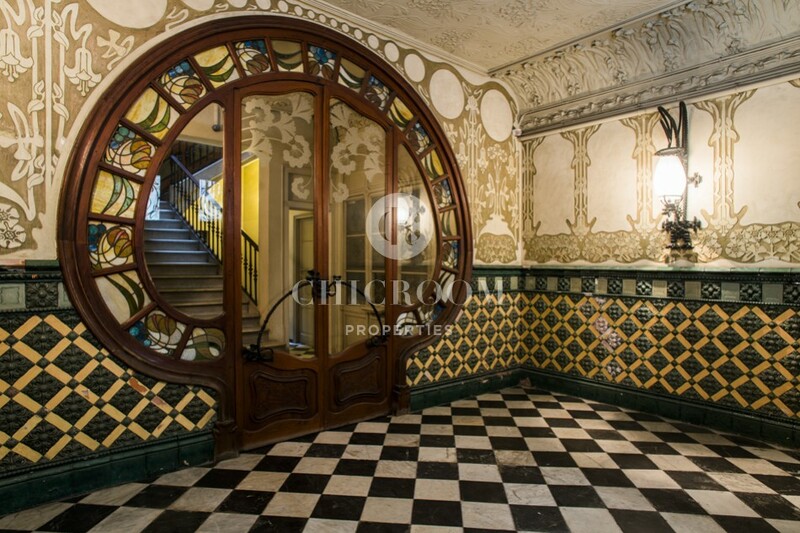 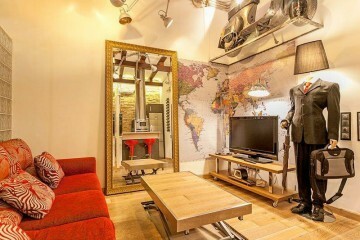 This luxury 2-bedroom apartment for rent in El Born, Barcelona is a rare gem like you are unlike to easily find in the Catalan capital. 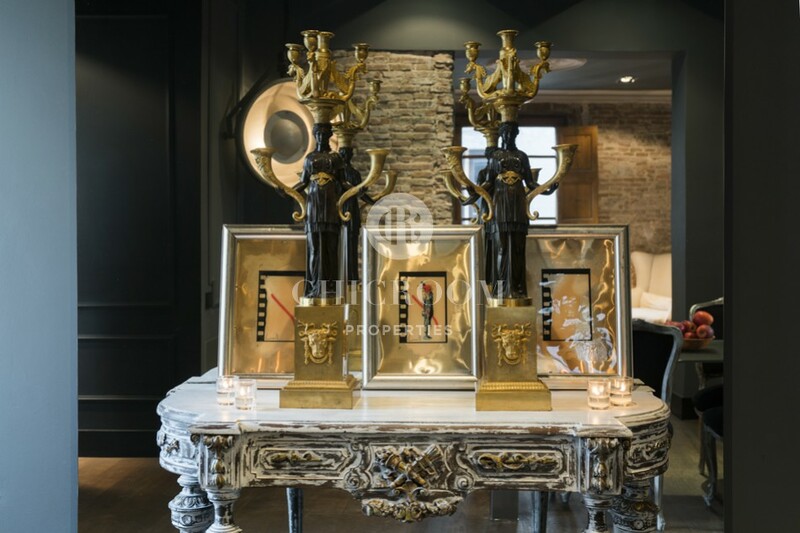 Duality is ubiquitous; the classic ancient artefacts along with the modern new elements. 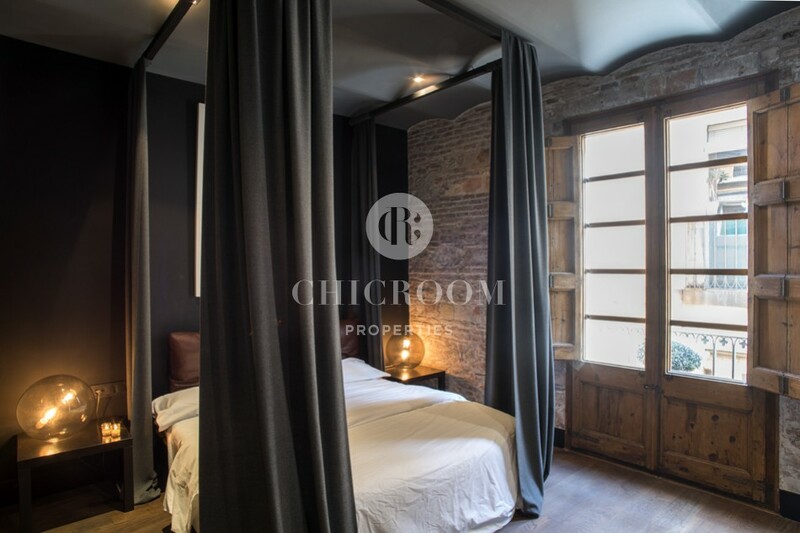 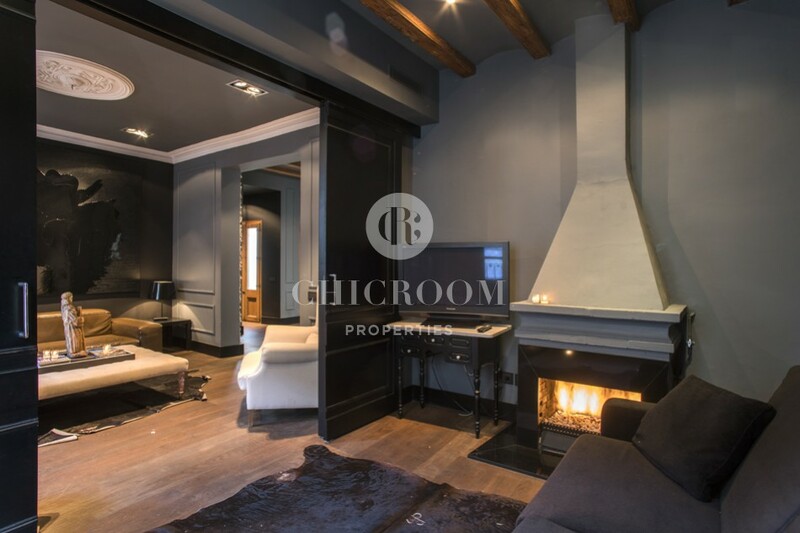 The dark colour tones of the walls, the furniture and the decoration brilliantly contrast with the original features of the apartment - exposed beams, the brick walls and the wooden frames of the windows. 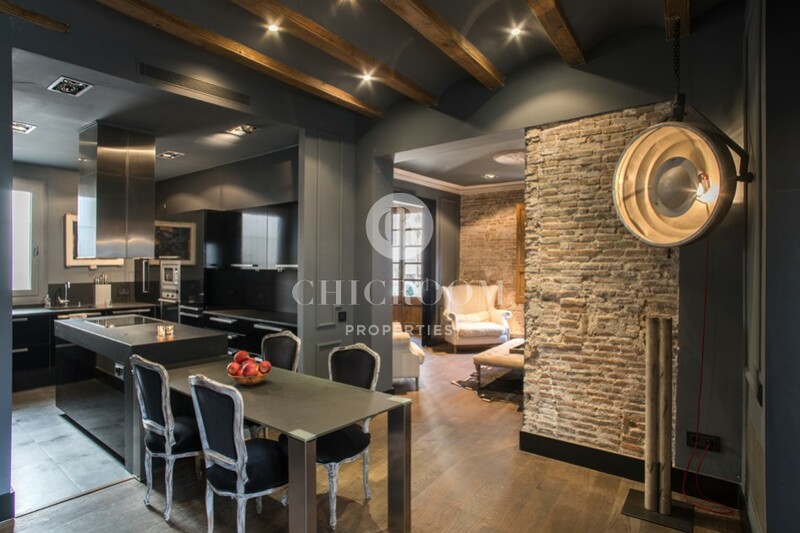 The modernist style of the building adopts the in vogue interior design. 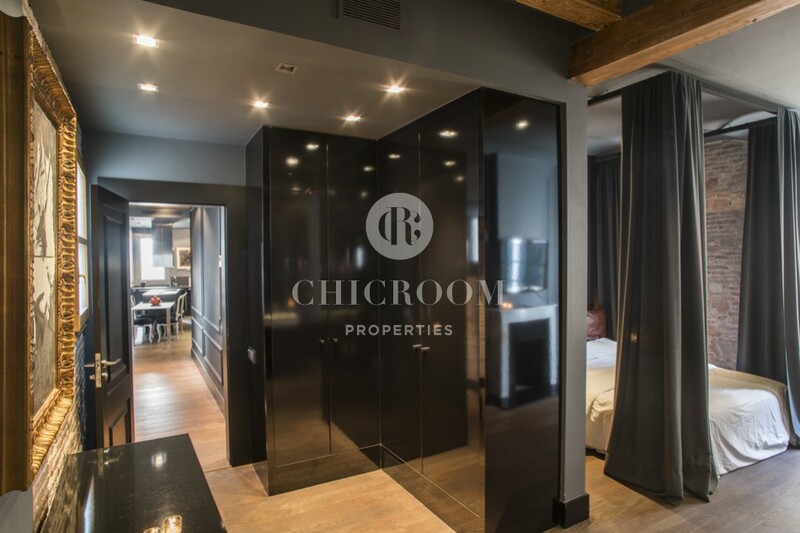 The master bedroom is a wonderful suite providing ultimate privacy and total comfort with a sensational elegance. 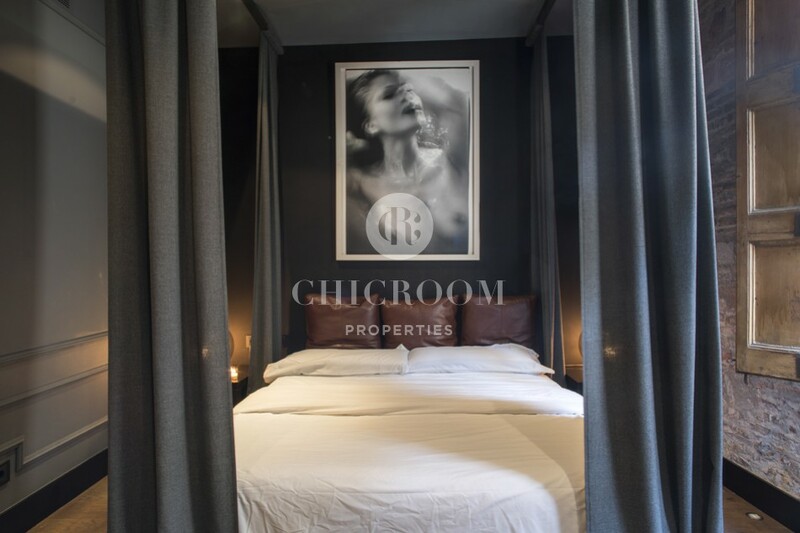 The canopy bed adds a majestic touch to the room in which you will feel like the lord of the premises. 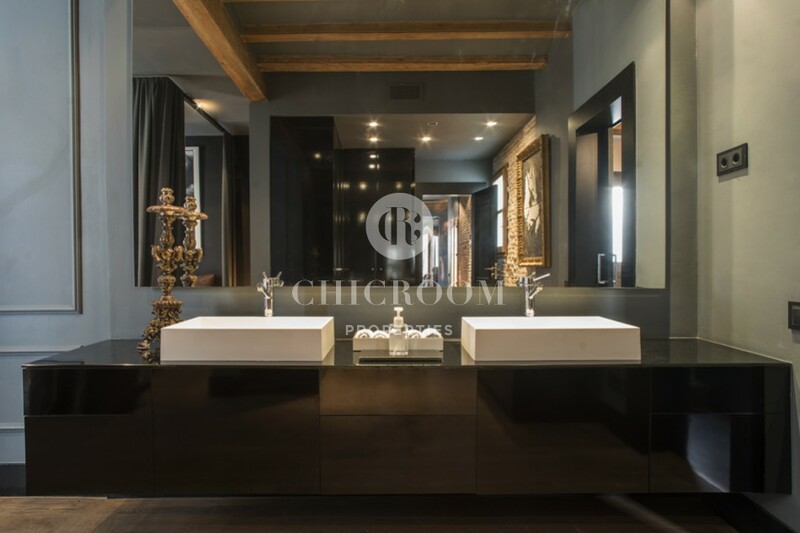 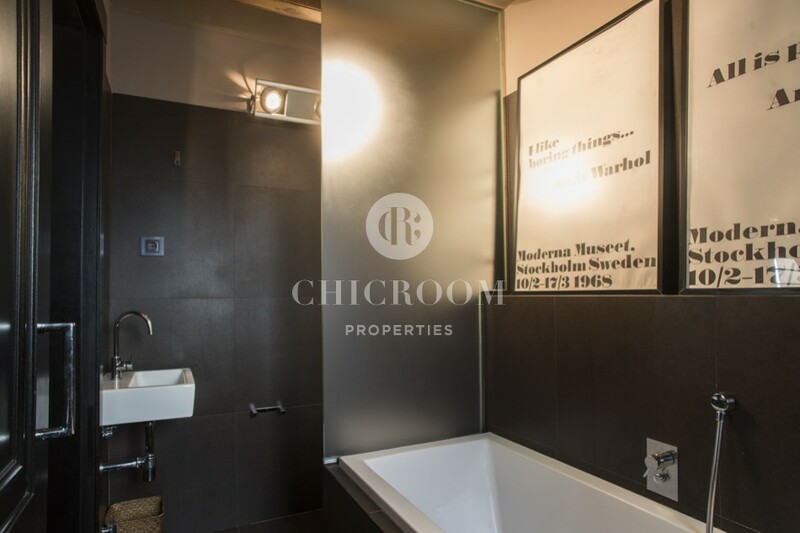 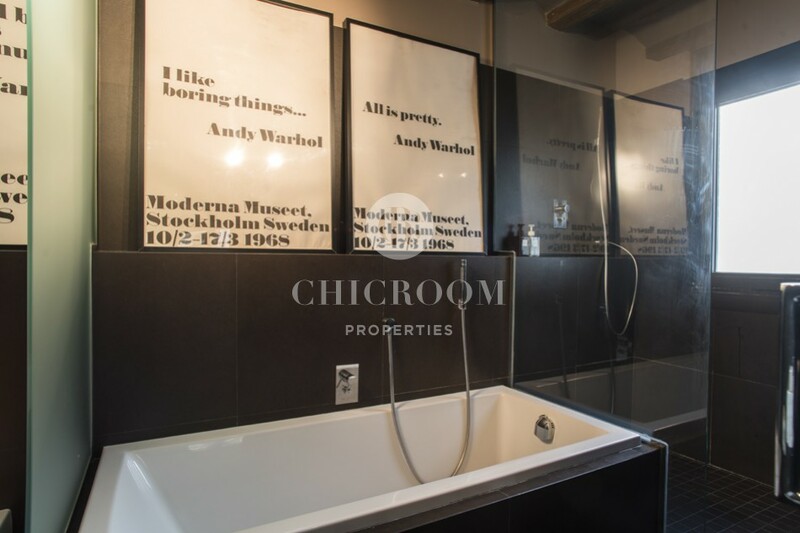 A stunning en-suite bathroom is attached to it and comes with a bathtub, a shower and a WC. 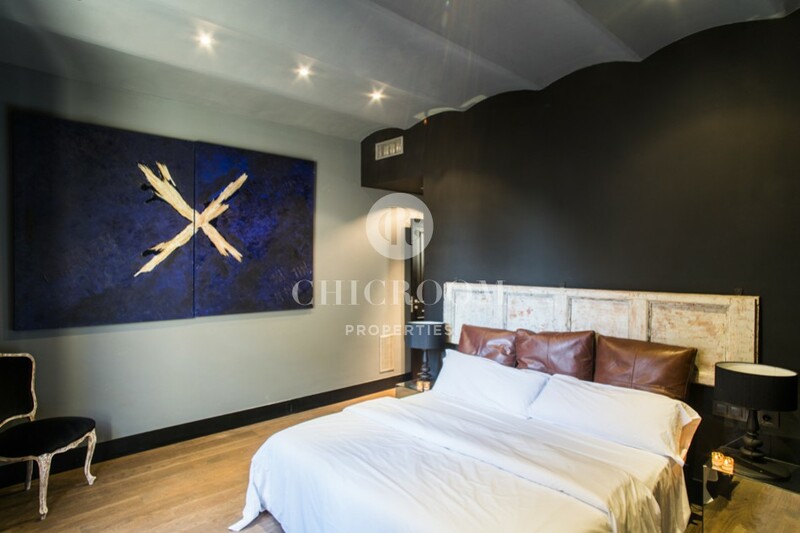 The second double bedroom is of equal beauty with artwork all around and a massive built-in wardrobe with a significant storing capacity. 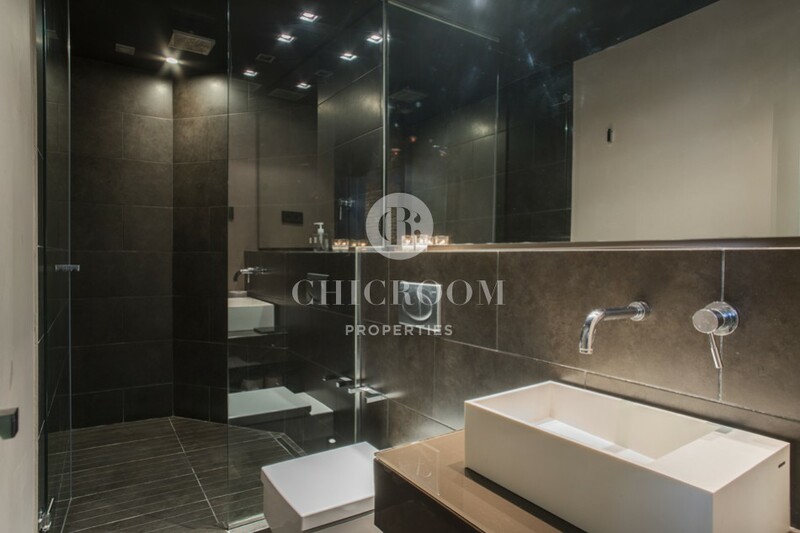 There is a second bathroom across the corridor with a finely designed wide shower unit separated by glass doors, a WC and a sink. 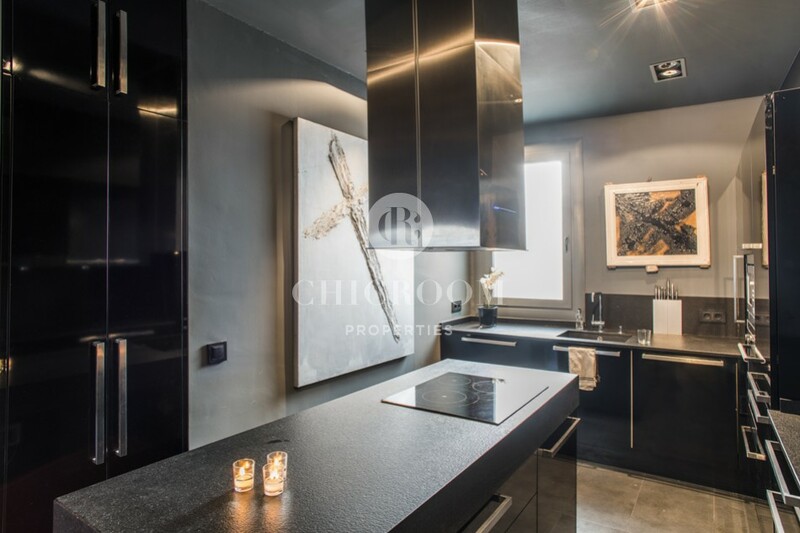 The kitchen area is made of two zones: one for cooking and the other one for eating where four people can sit. 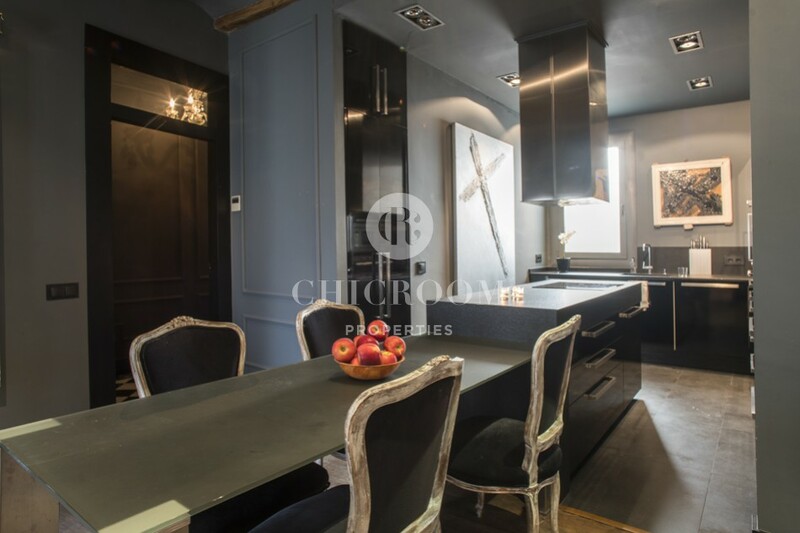 The former has some of the most high-end appliances, a kitchen island with ceramic hobs and various cabinets. 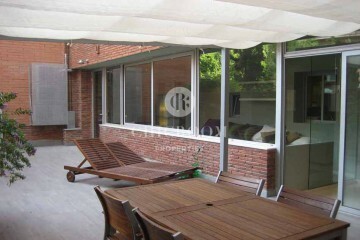 Refinement will also be found in the neighbourhood of El Born. 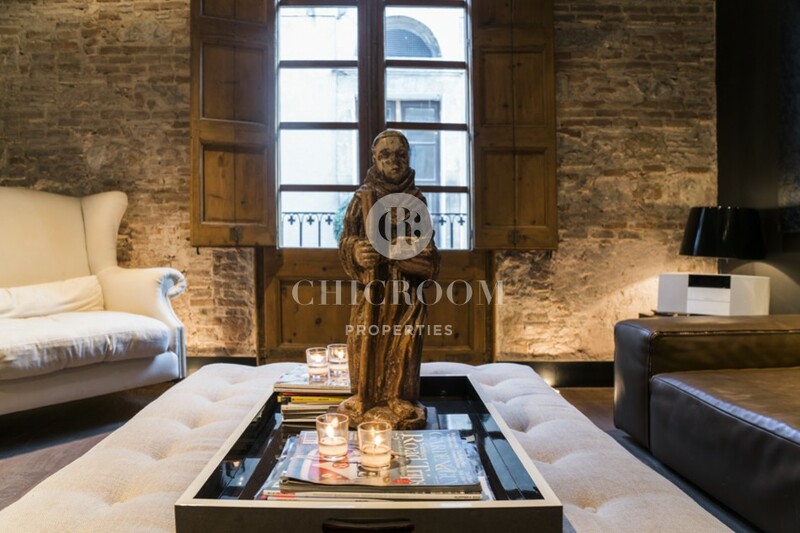 Local designers’ and chic boutiques, museums and classy restaurants, bars and cafés are the common in almost every street. 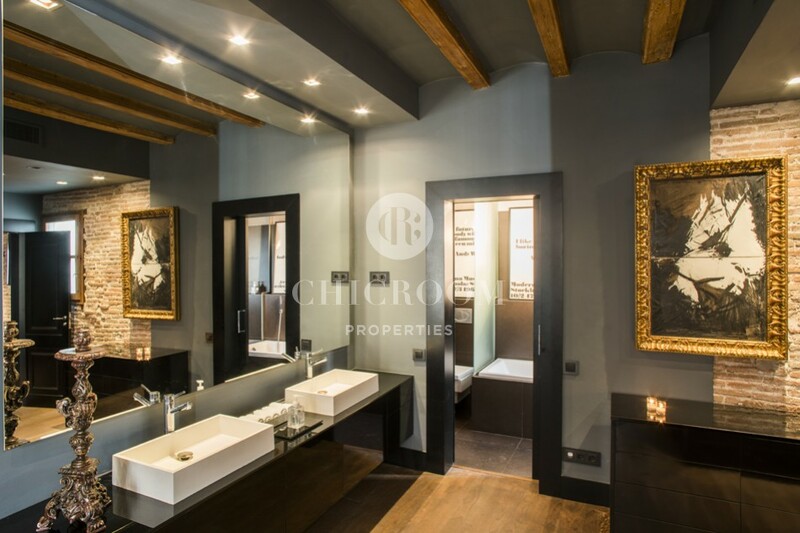 Situated between Via Laietana and Ciutadella Park, the tenants will appreciate a prime location allowing them to make the most of Barcelona. 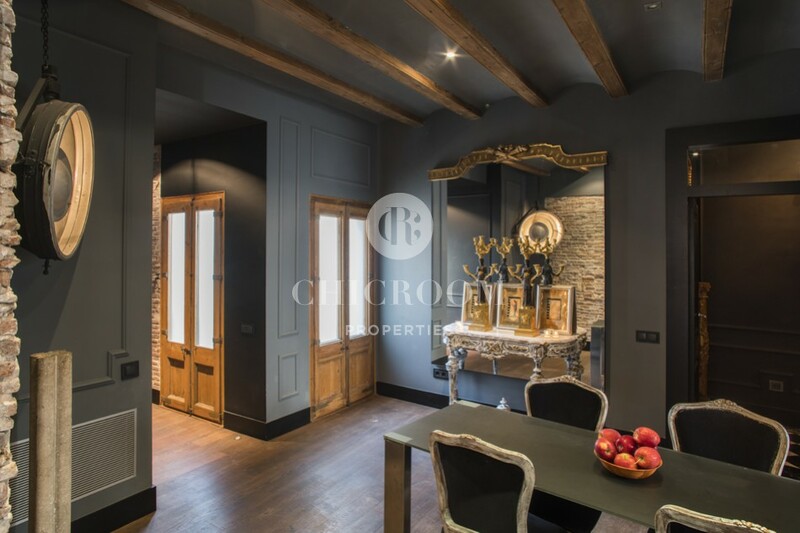 This property with a special character can be visited now; so contact our team of experts now to arrange a viewing or for more information. 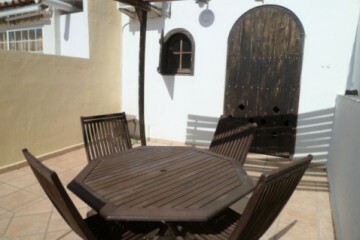 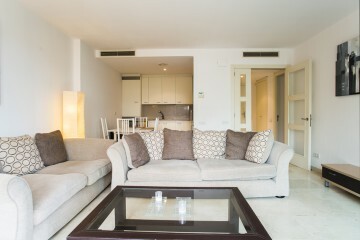 The monthly price 5.000 € is for long term rentals, for monthly rentals please contact us. 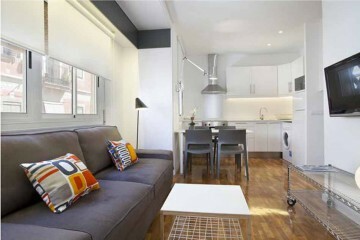 The minimum stay will be 32 days.